Are you looking for something different and/or unique either for yourself, friend, co-worker or loved one? Look no further!! Don't see anything you like in the current or sold listings? No problem, a customized order can be accomplished. 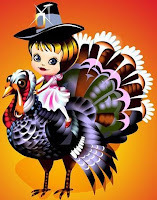 Plastique Recreations wishes you a safe but Happy Thanksgiving!! !